Directions: From Kona, head south on Mamalahoa Highway (Hwy 11) heading towards Volcano. From Hilo, similarly head south on Mamalahoa Highway (Hwy 11) heading towards and past the city of Volcano. Highway 11 loops around the southern tip of the big island and at it's most southern section, there is a street sign indicating the location South Point Road. If you are coming from the Kona side of the island it will be on your right. If coming from the Hilo side it will be on your left. South Point Road is a narrowing two lane road that will take you out through open fields and past a collection of windmills, eventually dumping out into South Point itself. Park at the dirt lot at the roads end. 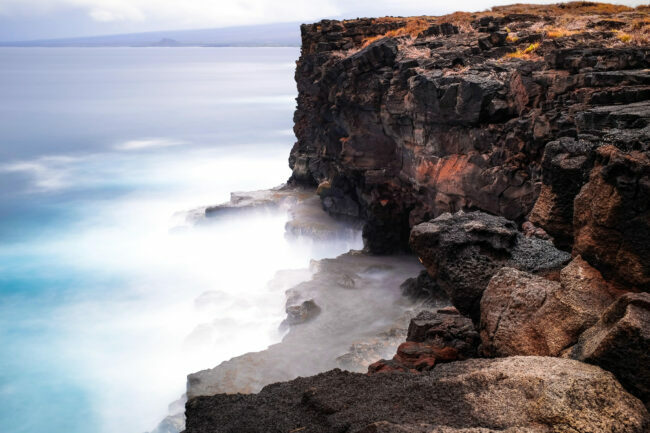 Ka Lae is Hawaii’s most southern tip. It’s comprised of a long expanse of rocky cliffs that run deep into the ocean. 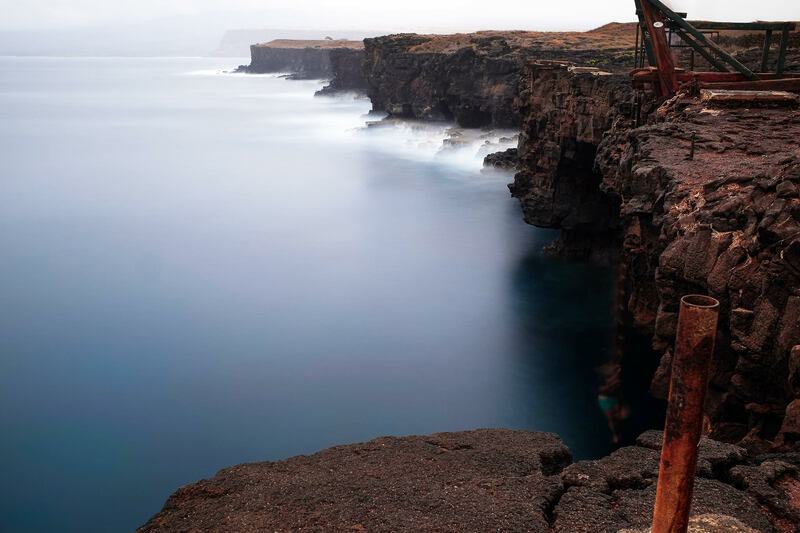 The waters are so deep that many choose to jump from the cliffs into the ocean below. This spot is beautiful to photograph year-round as Hawaii’s weather is pretty consistent regardless of season. Come for the golden hour for spectacular colors or even mid day, to watch the brave jump into the ocean below. Long exposure shots are priceless here so definitely bring your tripod and 10 stop ND filter if you plan on visiting. Once there, pick any spot on the cliff to call your own as there are great views from just about everywhere along this coastline. The weather on the Big Island can be unpredictable so it’s always good to check the weather on the day of travel before you spend several hours driving to South Point. That being said it can be worth while just waiting the weather out, as it can often change quickly.